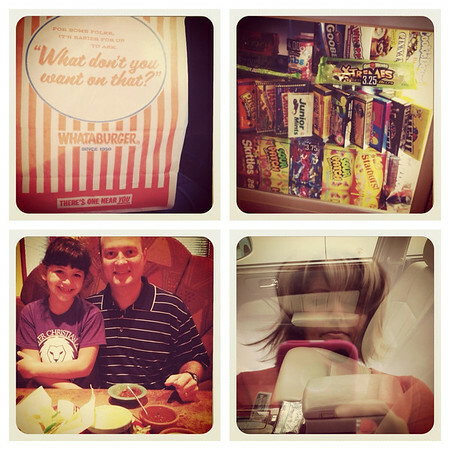 the #janphotoaday instagram challenge has been so much fun this month. 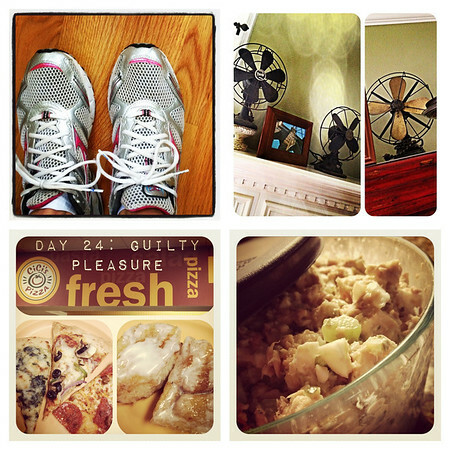 having a theme each day has been helpful (so i'm not just snapping oodles of photos of our cats or my feet--notthattheresanythingwrongwiththat) and has motivated me to take at least one photo each day. 14. was supposed to be something i was reading, which at the time was in the garden of beasts by eric larson but i deleted some photos from my phone after making these collages and had my days mixed up and guess what? that photo is gone, baby gone. oops. there are only a few days left for january's challenge, but guess what? 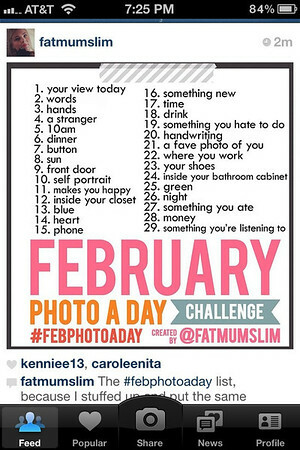 fatmumslim has created a new list of daily photo challenges for february. i'm so happy the fun will continue! y'all should join in too, the more the merrier. some days i miss (or feel uninspired) and i have to play catch up, but that's okay. if you skip a day or two or whatevs just catch up when you can or just jump back in. no pressure. no rules. 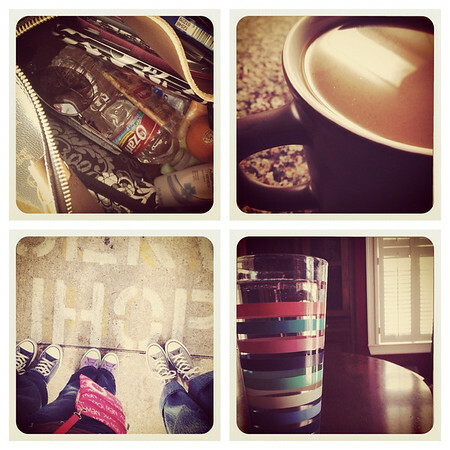 it's inspiring to see so many interpretations on each day's theme and a fun way to document your month. i hope y'all will play along! p.p.s. i've been using the project 365 app on my phone to keep track of my photos and must admit it's highly satisfying to watch the month fill up. I'm having fun with it too. I don't know if I'll do every day in February, but I'm sure I'll do some.